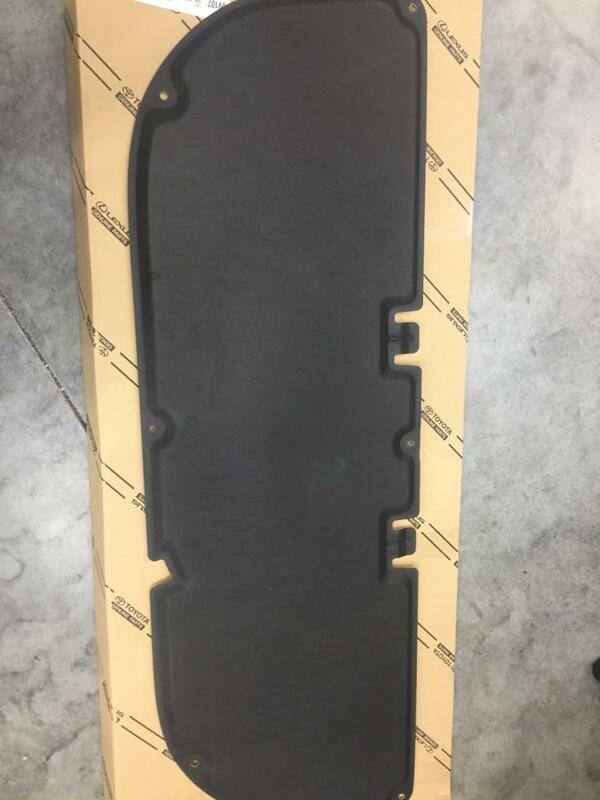 I got part #53341-42100 for the HV hood insulator from a new member here that said he's a Toyota employee, I haven't been able to confirm it on the net since there are no online 2019 listings yet other than the Avalon, a call to the dealer would be the best option until they're published. Thanks. I ordered the part and mounting hardware (separate order) from another vendor online. They confirmed that it is for 2019 RAV4 but also warned it does not come with my trim (from the VIN number). So, they cannot say if it will fit. I told them I accept the risk. I will be the guinea pig and let you all know next week. I can't imagine the HV having a different hood than the other models given the fact that it would increase production costs. 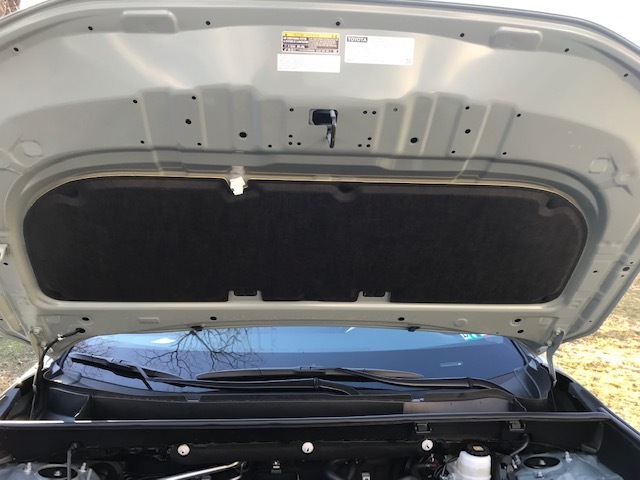 I was surprised to see the 2019 HV insulator costing less than all those for other Toyota models, almost all online dealer prices were right around $200 for the 2019 Rav4HV insulator, $50-$100 less than all the others. Did the dealer know availability for the insulator? I never talked to any dealer. Just the mechanic shipping the part at the toyota dealership in california. I should have checked with my dealer first. It would make it easier to return if it does not fit. Well too late for me. So I received this hood insulator today and installed it. It was a perfect fit down to the notches, hood support rod and retainer clip holes. You do have to get 6 insulator clips ($1.34 each) when you order the hood insulator. I used a noise decibel measuring app to see if there was a difference before and after. There seems to be about a 50% reduction in peak acceleration sound. Reduction in baseline engine sound was hard to appreciate. It is a 65F day here and the engine was warmed up so it was not that loud to begin with. I will check again in freezing weather this weekend. I was expecting a plastic product but it seemed to be made of cardboardish insulating material. I am not sure if this will be worth 200 dollars for everybody. Don't get it if the noise never bothered you in the first place or if you got used to it or learned how to drive with a light foot. I am just happy not to have to return it and lose money. I suspected it might not be a substantially built piece of sound deadening, at least it helps and was an easy install, thanks for being the ginea pig. This has been common knowledge for a couple months.